Serendipity Hollow: Pass out the Patties! 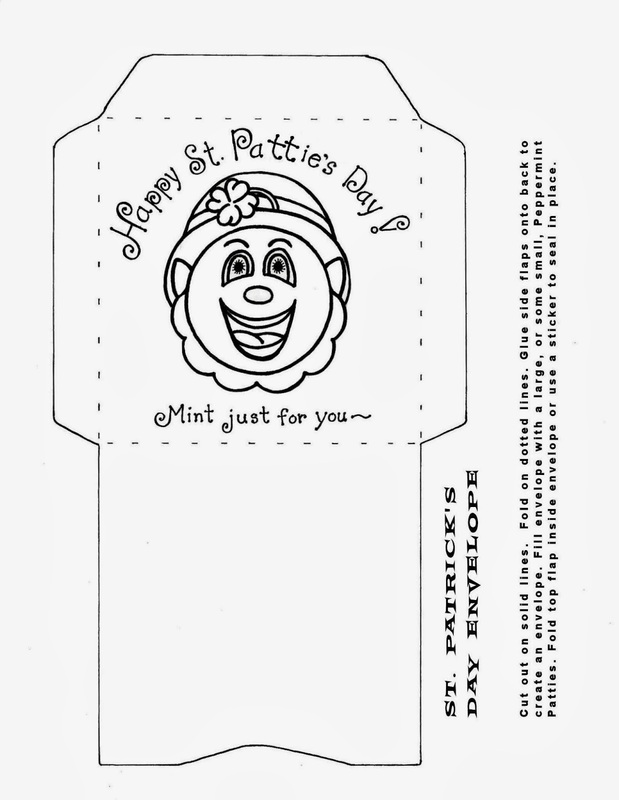 Treats "mint" for lucky Irish friends! It’s so much fun to “pass out the patties” to the crowd at work, or to the ladies you visit teach. 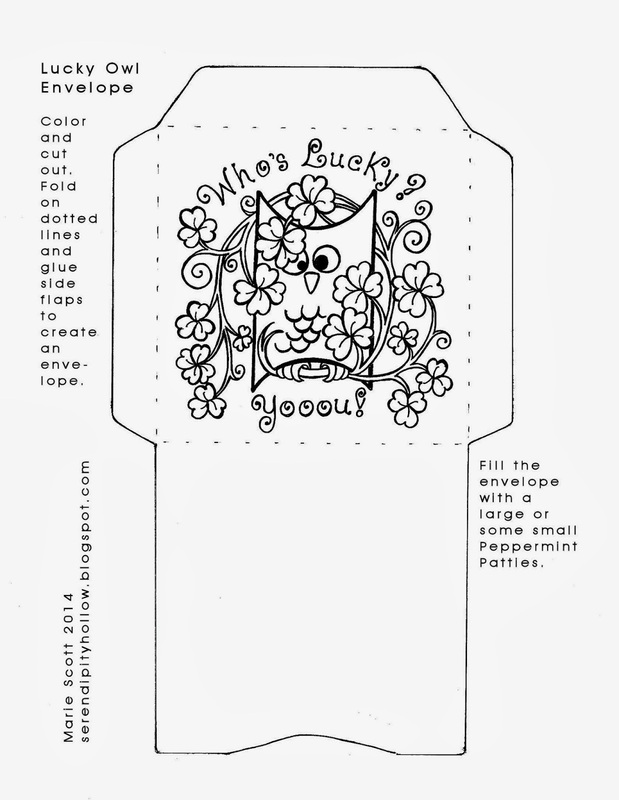 It takes just a few minutes to cut out and glue these simple envelopes together and stuff with those yummy Peppermint Patties. 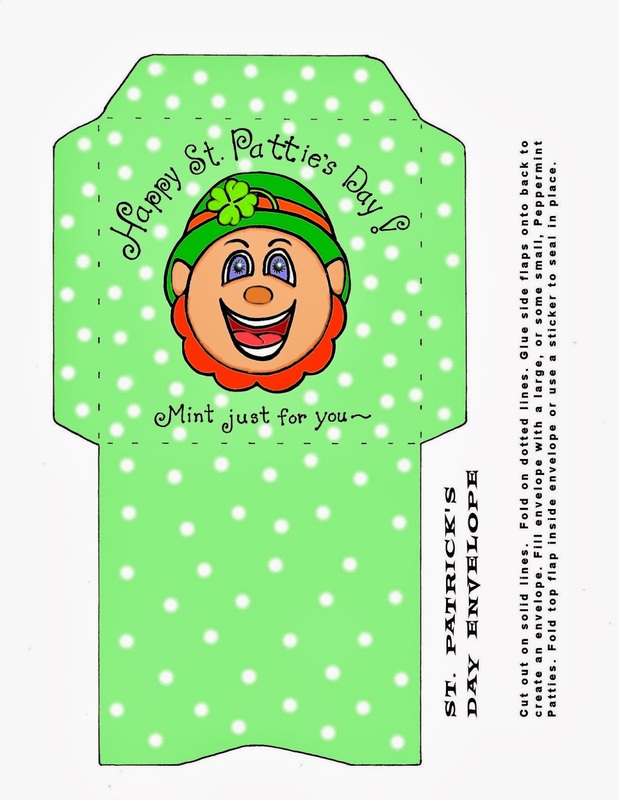 Don’t go out empty-handed on St. Patrick’s Day! 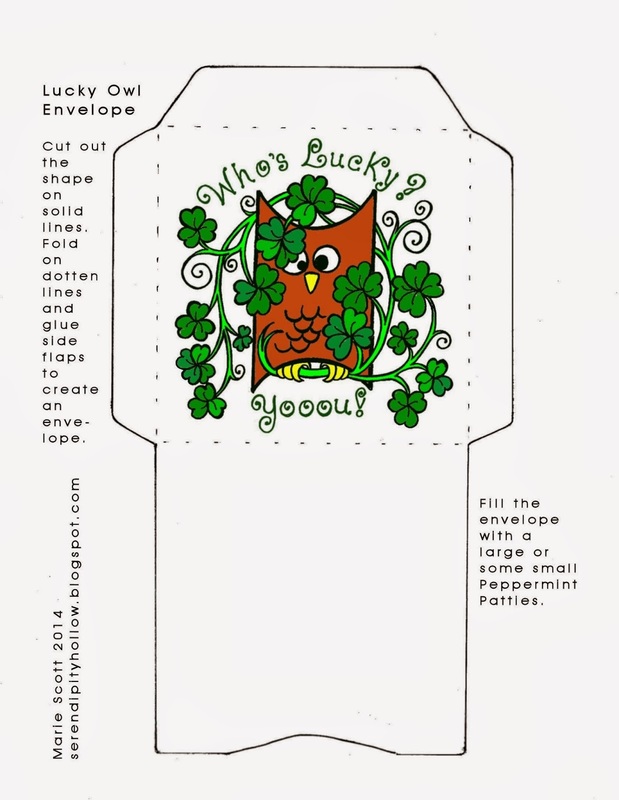 Or if Peppermint Patties isn't your thing, make some other lucky choice, stuff it in this owl envelope, and pass it on. We should all be so lucky to get it!